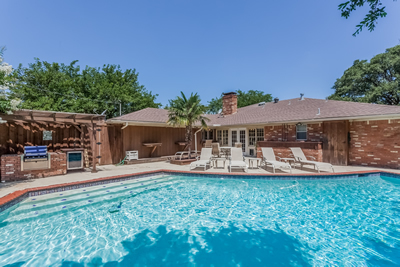 Amazing home with 3 outdoor living areas and a pool is great for entertaining. 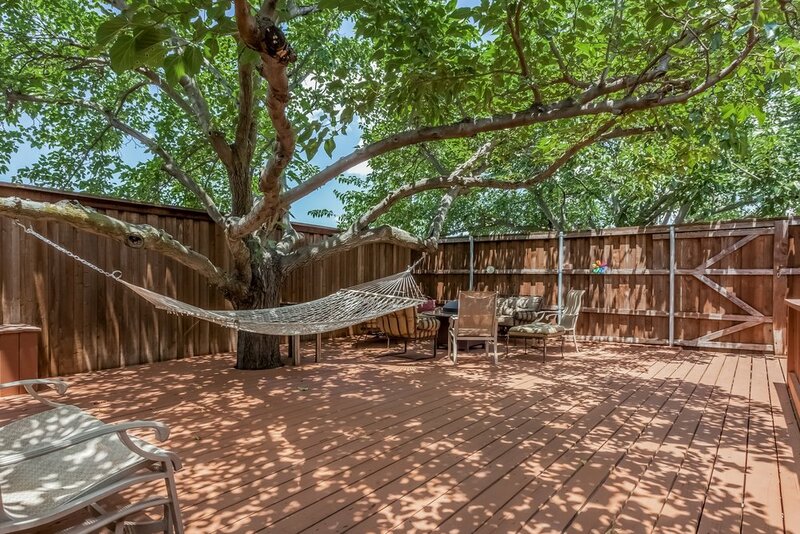 You are greeted with beautiful trees and mature landscaping. 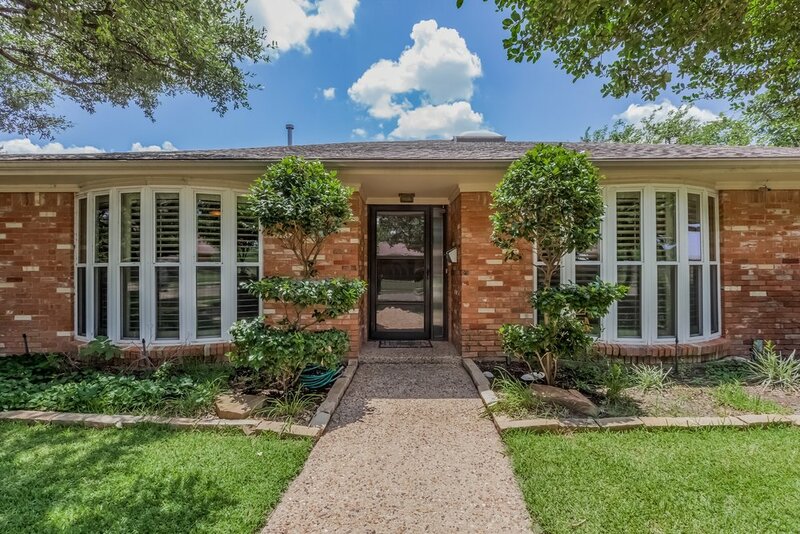 Step into an open floor plan with beautiful floors, vaulted ceiling, double pained bay windows with plantation shutters. 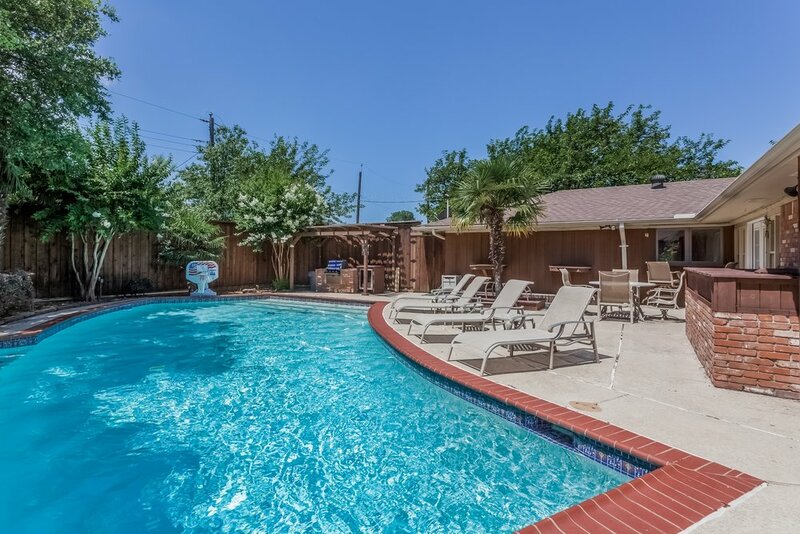 Through the first living area you will find a cheerful sun room with a full bar area which leads to the pool and can be closed off from the main house providing fun pool time entertainment. The pool area has a great barbecue with city gas and outdoor refrigerator. All the patio furniture remains. 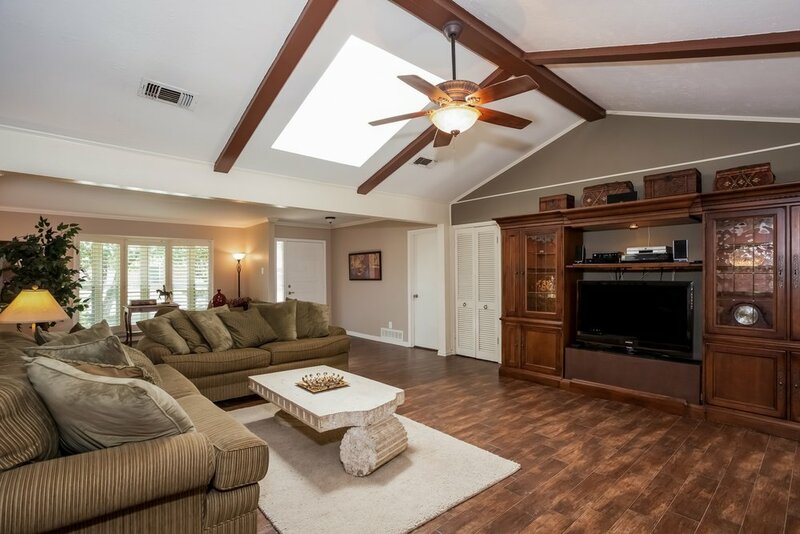 Through the dining room French doors you will find an expansive fenced in yard with wood deck, beautiful shade trees with moon lights, fire pit, hammock and more furniture to remain. A grassy area is perfect for your pets with a dogie door leading to a chain linked fence area where the doggies can see whats going on in the neighborhood. Through French Doors in the large master bedroom you will find a private covered hot tub area which seats 7 complete with music. 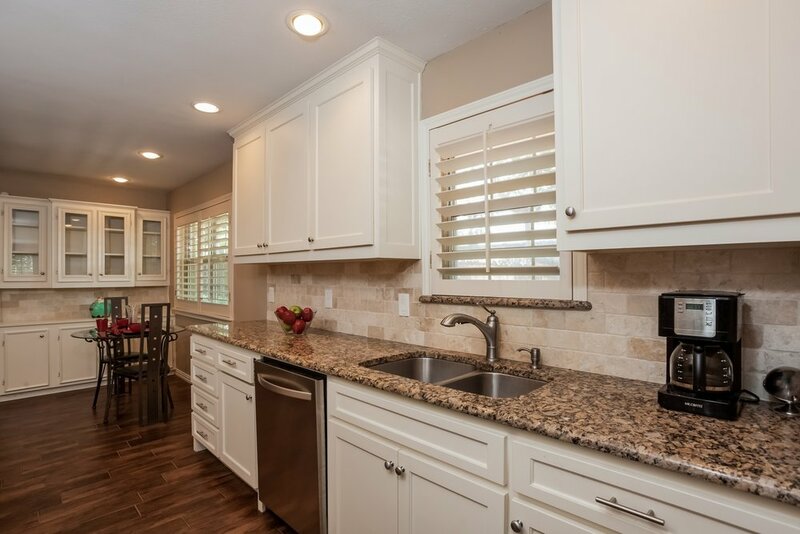 The Kitchen is updated with tiled floors, granite counters, custom back splash and stainless steel appliances. 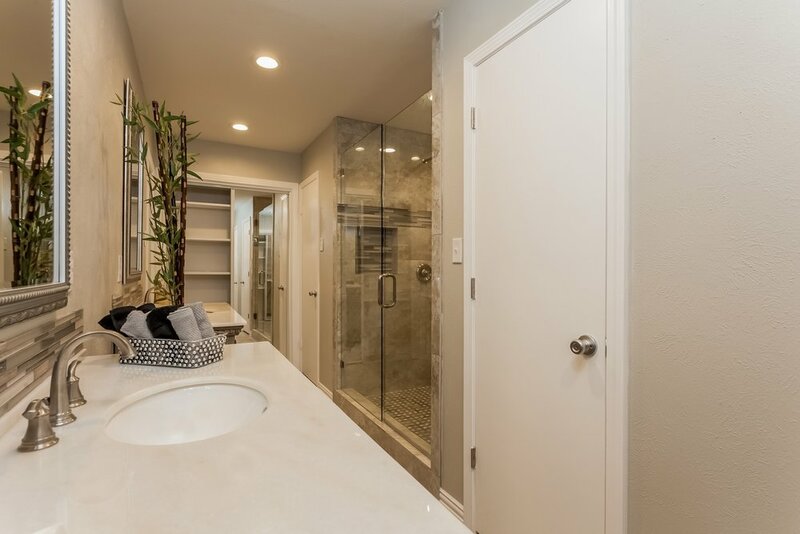 A newly updated Master Bath is complete with separate his and her areas where each person has their own vanity & sink, walk in closet as well as sliding closet with built in shelves. There is a beautiful large shower complete with a bench and dual rain heads. The toilet has it's own room with special toilet night light. There are hardwood floors in the master and 2nd bedroom and new carpet in the 3rd with plantation shutters throughout. 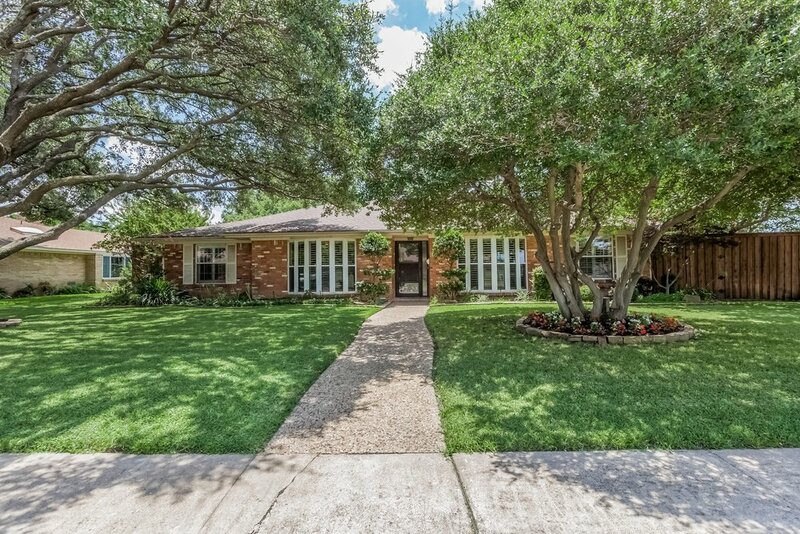 Energy efficient with 2 zoned HVAC, automatic sprinklers and additional attic insulation.